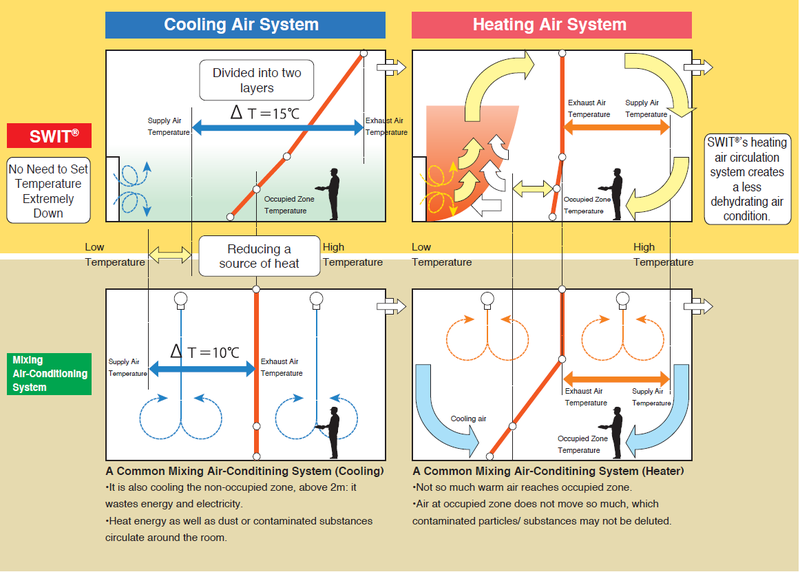 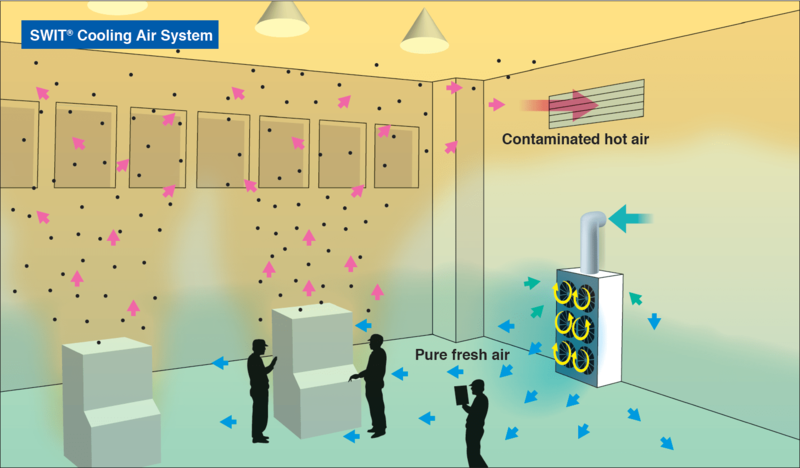 SWIT® – Thai Takasago Co., Ltd.
SWIT® DOES NOT need to adjust the temperature extra lower or higher frequently; it just simply can create comfortable room temperature with a fewer energy. 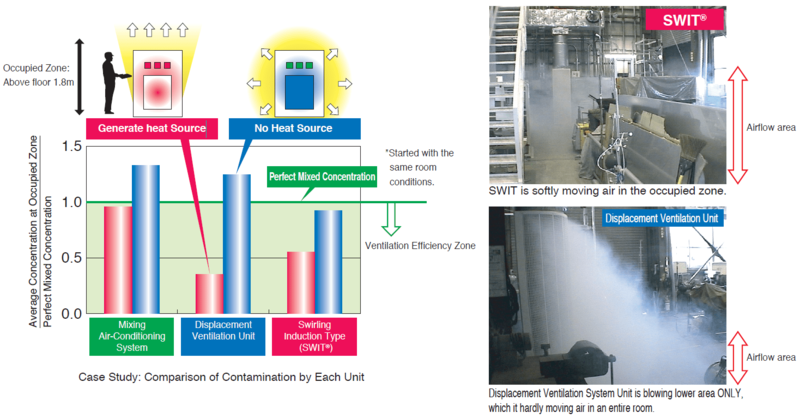 SWIT®’s Air Supply Unit is designed to cut the amount of airflow as well as it is reasonably minimized, which it saves more spaces for a production area compared to the previous displacement ventilation type. 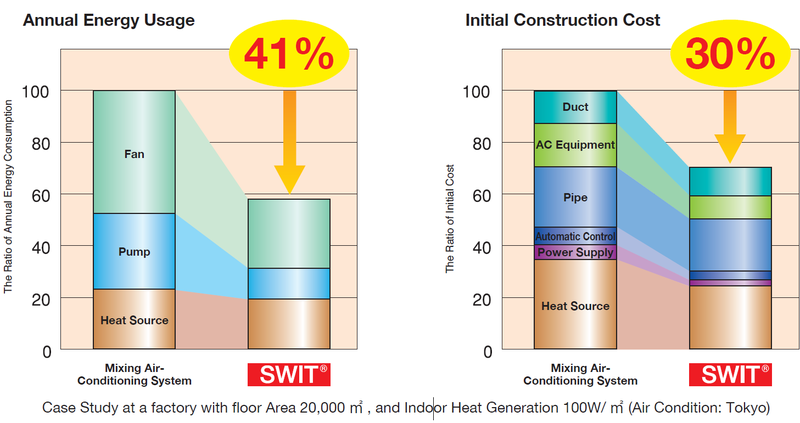 SWIT® dramatically reduces the cost of energy in addition to the initial installation cost.